It’s not just the high street that has seen a massive reform in the way consumers buy Fashion and Homeware products. 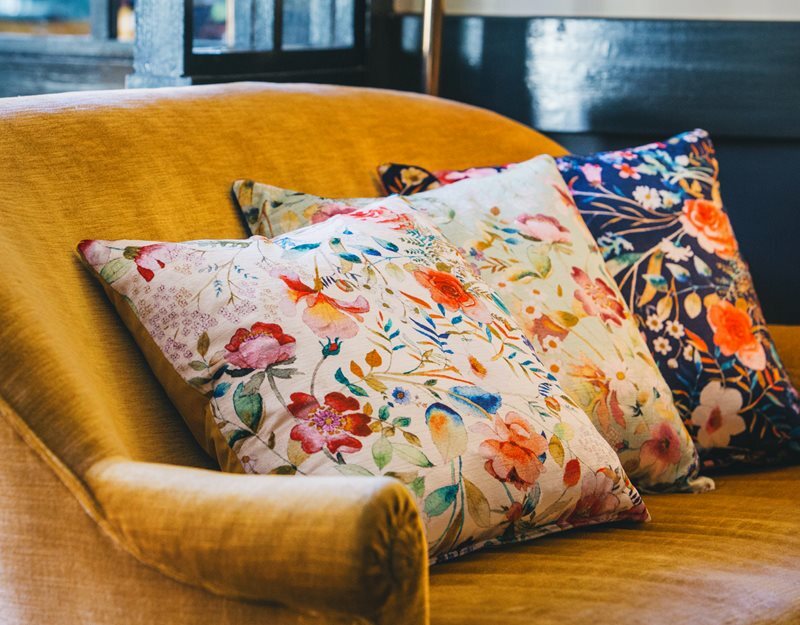 Whilst retail giants, large and small have adapted to embrace a new generation of tech savy consumers, creative digital nomads are also changing the demographic of traditional textiles. Empowered by digital textile print technologies, Designers are adopting new routes to market for their textile designs. With the evolution of the online product marketplace, came a new era of commercial opportunities for ecommerce entrepreneurs. Offering the creative a myriad of platforms with which to connect to a new breed of buyer whilst enabling designers to sell their patterns as printed products online direct to the consumer. The success stories of such platforms are numerous. The online product marketplace has facilitated a new breed of designer-maker and in doing so has also nurtured commercial confidence within the design community itself. Many fledgling designer brands begin to trade in this format, and once established move on to create their own online identity, websites, and their own independent retail platforms. Textile buyers for large retailers of both Fashion and Homeware manufacturers have also changed their working practice. Many now prefer to buy design artwork online. In a fast-paced world of instant trends and customized manufacture, there simply isn’t time to plan seasons ahead. Access to high quality (print ready) design that’s available for instant download is a must have resource for the millennial manufacturer, and online design studios see exponential growth worldwide. We are also witnessing a new breed of Digital Design Studio. Selling designs by the metre to Fashion and Home furnishing buyers. Customized manufacture has created an insatiable demand for innovative design, with instant availability. Textile Design studios now offer their patterns as cut-length fabrics or exclusive print-runs to both the Fashion and Home Décor industry. Fashion designers are also selling direct to the consumer or retailer. Richard Quinn started his company just three years ago. A student of Central St. Martins, London, he embraced digital print technologies during his university education and saw that flexible, in-house manufacturing would allow him to build an independent brand. With the support of the print machine community and its supply chain, he did just that, collaborating with Epson to build his in-house production facility. Quinn has forged a successful, privately owned Fashion empire with worldwide acclaim, even receiving an award from HM the Queen in 2018. In todays online world anything is possible for the talented creative with the drive to succeed. Established brands and Textile manufacturers too are embracing Digital Textile technology. As many companies, in Fashion and Home Furnishings struggle to achieve viable margins against buyers expectations, digital technology offers an efficient solution by controlling inventory. Reducing stocks of printed fabrics, and offers diversity and flexible manufacturing. Brands that once outsourced their printed fabrics are now investing in digital textile print technology and re-skilling their workforce to offer their customers in-house print and critically, speed of manufacture. Millennial manufacturing doesn’t allow, nor can it afford, vast stocks. The successful business of the future needs to have a sustainable supply chain if it is to appeal to the modern consumer. Digital Print Technologies continue to disrupt the print industry worldwide, but we are only at the very beginning of a radical reform in the Textile sector.